What is cat grass? Cat grass isn’t just one type of grass. 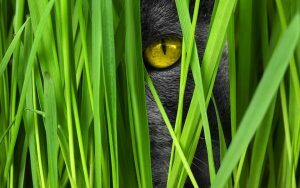 Barley, wheat, rye, and even the grass that grows in your garden can all be considered cat grass. It should be noted that catnip and cat grass are not the same thing. Cat grass is simple grass, while catnip is actually a type of mint plant. 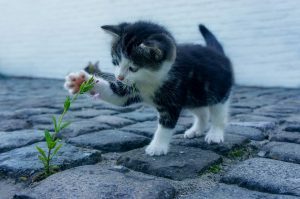 To learn more about catnip, check out our article Should You Give Your Cat Catnip? Feral cats (cats that have no owner and live outdoors) and outdoors cat often eat grass while they are outside. It has many great health benefits, which will be discussed later in this article. However, indoor cats do not have regular access to grass, which is why pet owners might want to consider growing cat grass in their home. Both outdoor and indoor cats love cat grass! 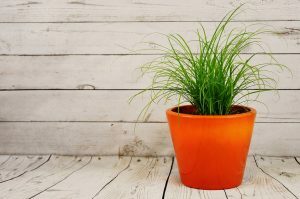 Cat grass is one of the simplest plants to grow indoors. It can be grown in nearly any container. So long as it is regularly water and kept near sunlight, the plant should be able to flourish indoors, whether you’re a green thumb or not. Cat grass seeds are often sold alongside any other type of garden seeds. They may even be right next to catnip seeds! Each packet of seeds will have directions on it as to how to grow it. Since a variety of grasses can be used for cat grass, brands of cat grass growing instructions may vary. Once the plants begin to sprout, let them grow for about another two weeks before giving it to your cat. If they eat the grass earlier, it will not hurt the cat, but it will likely pull the grass up by the roots, which will cause the plant to die. If the plant begins to die naturally (this will be shown by wilting or turning a shade of yellow or brown) the old seeds can be removed and new seeds can be planted in their place. This will ensure that your cat will have a steady supply of cat grass to keep them happy. A happy cat makes for a happy cat owner! Cat grass is full of amazing health benefits. However, it should be noted that cat grass grown from seeds indoors is usually healthier for cats than grass grown outside. This is because sometimes grass grown outside may be tainted with pesticides or other harmful chemicals. For this reason, it is best to only feed the cat grass that you know is safe. 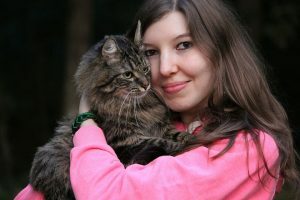 One of the most popular reasons why pet owners buy cat grass is because it’s great for all of a cat’s hairball problems. Eating enough of the grass on a regular basis can help to prevent hairballs. 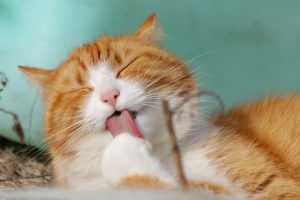 If a cat already has a hairball in its body, then eating cat grass will help them to vomit, which helps to get the hairball out of its system. Cat grass is full of natural dietary fiber. By eating this grass, the cat’s digestive system can be improved. 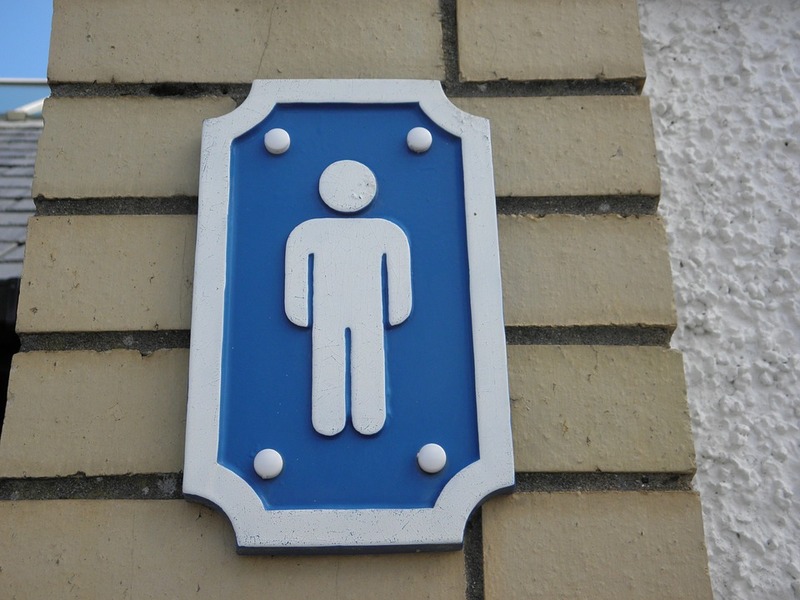 This can help to reduce abdominal pain, improve their metabolism, and regulate their bowel movements, which can help them to have less “accidents” outside of the litter box. The fiber in the cat grass does more than just improve digestion, it can also work as a natural laxative. This can help both cats that are having trouble with constipation and diarrhea. 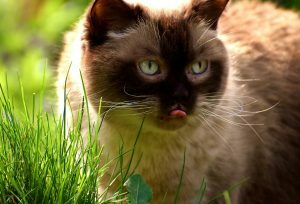 If your cat is facing either of these problems, then it might be best to encourage your kitty to eat more grass. One of the many vitamins in this list, vitamin A, is a key component to cat grass. This vitamin is best known for keeping the skin and eyes healthy. This will keep your cat’s eyes sharp, making them an even deadlier hunter to mice… or their toys. Vitamin D is best known for its ability to increase the health of the bones and teeth in humans, and it can do the same for your feline friend. 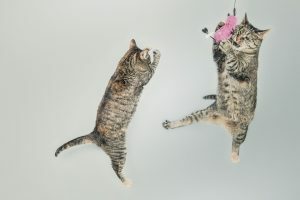 With all of the jumping around a cat does, it’s best that their bones stay as strong as possible. Catnip contains something called chlorophyll, which is the component in plants that makes them green. Chlorophyll works as a natural pain reliever. This is great news for cats who have painful joints or other ailments that cause them pain. Plus, it’s a great natural alternative to painkillers. Folic acid, also known as vitamin B9 or folate, is another vitamin that is included in cat grass. This vitamin is especially great for pregnant cats, as it promotes the health of their unborn kittens. Folic acid isn’t just healthy to mama cats, but it can also improve heart health in all other cats. Eating cat grass can help to prevent your cat from getting anemia, as cat grass increases hemoglobin production. This helps to keep your cat’s blood healthy. Anemia is a condition that can cause a variety of other health problems, so it is best to prevent it while you can. Getting back to the wonderful things chlorophyll can do, it can also help to heal infections faster. Infections can occur if your cat gets a cut that does not heal properly. By eating cat grass, your cat’s wounds will heal faster. The last mention of chlorophyll in this article comes with the mention of curing and preventing ulcers. Ulcers can form when a cat has a bad diet or if they are under a lot of stress. Eating cat grass can help to both prevent and treat ulcers. 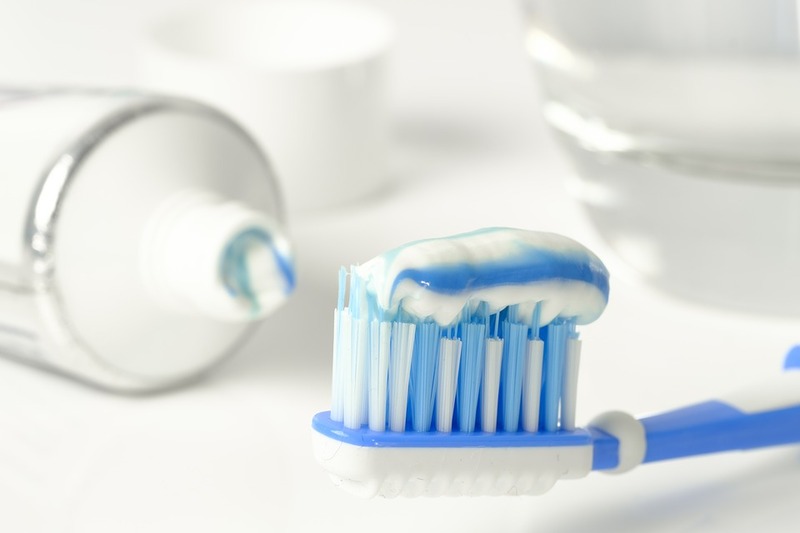 If left untreated, ulcers can lead to other ailments, including abdominal pain. Niacin, also known as Vitamin B3, is also included in cat grass. This vitamin is essential for your cat’s health, as it helps to convert your cat’s other foods (like kibbles and treats) into energy for them to use, even if they use most of it to nap. Niacin also encourages healthy blood flow, a healthy brain, nervous system, and skin. Now that you know all about cat grass, will you grow some for your pet? Comment below! Should You Give Your Cat Catnip?